MIM is happy to report that revolutionaries in Russia are picking up the theories of Mao Zedong, both in order to better understand the treachery of the Soviet revisionist and social-imperialist clique which took power after Stalin’s death, and in order to guide them in making a correct assessment of their friends and enemies in the contemporary situation. MIM recently exchanged greetings with Russian comrades on the occasions of our respective congresses. In October, 1998 MIM sent greetings to our comrades in Russia upholding Marx, Lenin and Stalin against subsequent capitalist restoration. We note with pleasure that the Congress saw the strengthening of the Maoist pole in Russia. The Secretary of Ideology of the RYCL(b) wrote to explain the results of the Congress and his letter of January 11 is below. The works of Mao were long forbidden in Russia for obvious reasons while those of Trotsky and other revisionists were readily available. For this reason our comrades struggling in Russia start with some disadvantages. On the other hand, they have struggled long and hard and now they have contact with the Maoist movement outside Russia. So the Russians are doing their share of the work for revolution! In fact, the Russian comrades read our work and other works in English; they have set up multiple web sites on the Internet and they have figured out which parties in the outside world resemble the ones in Russia the most. Here we learn that the youth group in Russia feels more akin to MIM while its parent is more similar to Workers World Party. Hi, comrades! I thank you for a greeting to the 2nd Congress of RYCL(b). The Congress was held on October 25, 1998 in Leningrad. The delegates from two dozen organizations participated in it. The Congress has shown, that RYCL(b) had overcome the right deviation, consisting in denying of an organizational independence of the Komsomol and expressing in attempts completely to subordinate it to the party – Russian Communist Workers Party. The RYCL(b) is guided in USA by MIM and has relations with the Socialist Workers Party of Mauritius. The RCWP is guided in USA by WWP and has also relations with the Belgian Party of Labor, Workers Party of Turkey (Dogu Perinchek) and CP of Greece. The largest “communist” party in Russia CPRF is guided in USA by CP-USA, in other countries – by large opportunist parties like CP of France and CP of Japan. For the best understanding it is possible to carry out an historical parallel – Germany, 1918, the CPRF is Social-democratic Party, and RCWP – Independent Social-democratic Party. Despite of revolutionary mere verbiage in RCWP, revisionism also has developed. Its management does not recognize ideas of Mao, considers the European proletariat is revolutionary, and someone shows anti-Semitism (but does not wish to cooperate with revolutionary nationalists!). The recently arisen strong right wing accused the proletariat of prostitution and is dragging behind CPRF, moreover – cooperates with bodies of security. Centrist management connives with the rights. The leader of a RYCL(b) P. Bylevskiy is twice expulsed from the party. Therefore, the revolutionary youth was included in the conflict with the management of the party, but is not resolved yet on complete organizational break with opportunists. The Congress has shown, that the line on independence of a Komsomol is not exposed to doubt. After a defeat on plenum in November 1997 the right deviation has came to naught. Unfortunately, strong influences on the Congress have various leftish deviations – workerism and rejecting of work in official trade unions (Gamov), aspiration “to provoke” revolution (former secretary of the CC on ideology Buslayev), identification of socialists from CPRF and revolutionary nationalists from National-Bolshevist Party with the fascists from Russian National Unity (Salnikov). However, none of these deviations has a prevailing rule, though all of them were reflected in the resolutions of Congress. One of the successes of Congress has become that it has strengthened positions of the Maoist current in RYCL(b). As the new secretary on ideology I openly declared, that I’m going to use the post for promotion of Maoism. One place in the Control Comission also Maoist Seliverstov from Obninsk has got. Now, after routing right leningrad-syktyvkar group, basic ideological tasks in RYCL(b) – struggle of Stalinist current (Moscow, Perm etc.) against crypto-Trotskiyist (Kirov, Nizhni Novgorod) and promoting thus Maoism. There are the significant difficulties on this way – Brezhnevist propagation of long years forged the essence of the Sino-Soviet split. 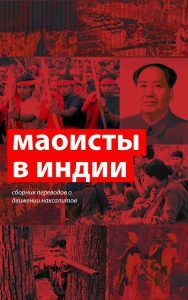 There are practically no Maoist books in Russian (as against Trotsky’s books, which in a plenty were issued during Perestroyka). There is no Maoist organization, and the majority of the enthusiasts concern to “new left” and anarchists, at last, the Russian variant of Maoism is not developed. However, I am sure, that these difficulties will manage to be overcome. The young communist league armed with Marxism-Leninism-Maoism, will lift the Russian proletariat on new revolution! I give a comradely salute to MIM’s Congress on behalf of the Revolutionary Komsomol of Russia and Ukraine – RYCL(b). Despite essential distinctions between conditions in Russia and in the U$A and the language barrier, I consider ideology of MIM is the most correct among ideologies of organizations in the U$A and closest to our ideology. Your contribution to the cause of the world revolution – struggle in most reactionary and powerful capitalist country – is very important. I wish successful work to Congress and hope for development of collaboration between our organizations. 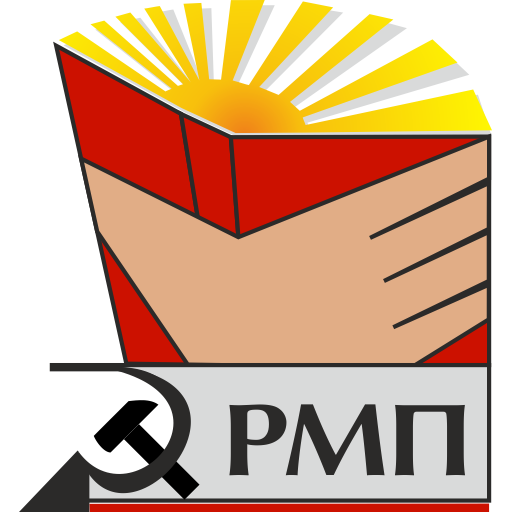 The Obninsk City Organization of the All-Union Leninist Communist Union of Youth (VLKSM) and of the Revolutionary Young Communist League (RKSM(b)) extends its fraternal greetings to the 1999 Congress of the Maoist International Movement (MIM) and wishes it success in its functioning. Let this Congress become a major milestone on the road to fulfilling MIM’s principal goal – building a united proletarian-led front within the borders of the citadel of world imperialism, the U$A. Despite MIM’s relatively limited numerical strength and its extremely difficult working conditions, we are glad to find in your organization’s activities the most consistent and the least dogmatic application of the science of Marxism-Leninism-Maoism to the realities of today’s world. We sincerely hope MIM will continue proudly carrying forward the red banner of proletarian internationalism and world revolution! imperialist countries. On the other hand, there are survivals of the Khrushchevite-Brezhnevite revisionist international policy, deprived of its progressive component (support for national liberation struggles all over the world) but preserving its essentially imperialist character; a growing percentage of the petty bourgeosie and the formation of Westernized, parasitic enclaves (e. g. the city of Moscow). In these conditions we hope for the success in Russia both of traditional Maoism (originally elaborated in and for underdeveloped colonial countries) and of newer perspectives on it developed by MIM. Proletarians and oppressed nations of all countries, unite!